Keep your brand new floors free from damage by setting up designated places for your family and guests to leave shoes when they come inside. 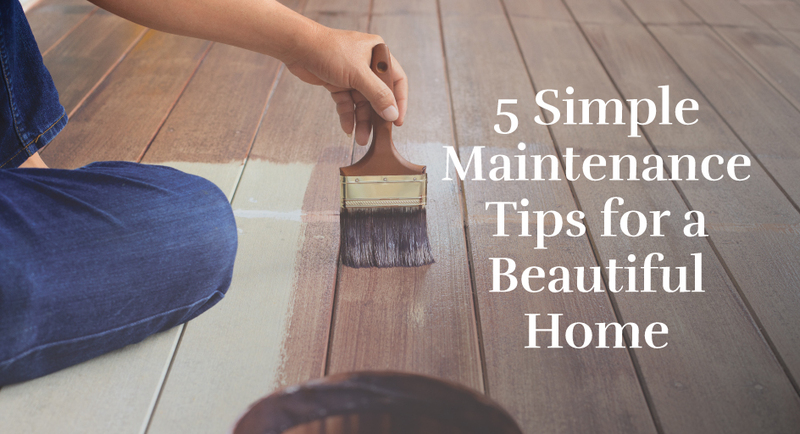 This rule doesn’t have to be for the entire house, but if you have valuable flooring or carpet in some rooms, this is the best way to keep it looking brand new for years to come. A common homeowner headache is a clogged or broken plumbing system. From waking up at 2AM to a pipe burst, to going to wash the dishes and your water won’t turn on, plumbing can be quite the nuisance. However, if you do not take care of these problems right away, you could be compromising the integrity of your home and plumbing system. The longer you wait to fix the problem, the more you’ll end up paying to fix it in the long run. Do yourself a favor and take a look at your complete plumbing system on a frequent basis. Check for leaks, tears, holes and any other signs of damage. Back in the old days, homeowners didn’t have air conditioning, so they would literally wash the walls in their houses to keep mold and mildew at bay. Now, we don’t have that problem, but paint can still become discolored over time from air pollutants, dust, oils, scuffs, and just general wear and tear. Almost any painted wall can be cleaned. Eggshell or satin finish can usually be buffed up with a magic eraser, while flat paint generally responds well to warm water and a soft sponge. Ask your local paint supplier what the best method is to keep your beautiful walls looking new and bright. This is quite possibly the simplest maintenance tip of all! If you do not check your smoke detector, how will you know it is broken until disaster strikes? Avoid having to deal with smoke damage or a disaster and regularly check your smoke detectors. The simplest maintenance is prevention. Regularly inspect all areas of your home, from the floor to the ceiling. Call us today for more information about our homes, communities, and if you have any maintenance concerns while living in one of our communities.